Have you felt that your spouse hasn’t been listening to you lately? Does it seem like your parent consistently asks you to repeat yourself? Have you noticed that your golf buddy hasn’t been around as much lately? If your loved one has seemed distant lately, for no particular reason, it could be a sign of hearing loss. As Helen Keller once said, “Blindness separates people from things. Deafness separates people from people.” The same can be applied to hearing loss. Communication is an important part of our relationships, and if a loved one has been distant, it could be a difficulty with speech recognition. If you believe your loved one may have a hearing loss, it is important to have an open and honest conversation about it. Of course, this topic may be sensitive, so we’ve provided a few tips for encouraging your loved one to take a hearing test. Before you bring up the subject with your loved one, do a little bit of research online. There is a wealth of resources, from The Hearing Loss Association of America to the American Speech Language Hearing Association. Read up on the signs of hearing loss, related medical problems, and statistics on the prevalence of hearing loss. Many people are avoidant or dismissive of hearing loss because of the stigma of age. However, with more information, you’ll see that hearing loss is the third most common medical condition in the US and that it can occur to people at any age. Research will help inform and persuade your loved one on the prevalence of hearing loss and the importance of treating it. With hearing loss, communication can prove difficult for your loved one. When you’re ready to have a conversation with your loved one, avoid going to loud, public spaces or busy, stressful moments where you may be frequently interrupted. Instead, find a quiet time and place to bring up your concerns. Furthermore, because it is a sensitive topic, you may want to have a one-on-one conversation so that there is privacy and so that your loved one doesn’t feel they have to be on the defense. After you’ve expressed your concerns to your loved one, give them the opportunity to respond. Chances are they have already noticed changes in their hearing abilities and have been accommodating the condition. Additionally, they may have felt doubt, fear, a lack of confidence, and frustration with the changes in their hearing abilities. Give your loved one the opportunity to express their feelings about their experience without interruption. When you have questions, ask open-ended questions (rather than yes or no questions) that will encourage to share more information. When the time is right, encourage your loved one to take a hearing test. Based on your research, you will have found that there are significant benefits to one’s overall health and well-being by seeking treatment for hearing loss. The road to better hearing does not have to be lonely. Remind your loved one that you will support them through the process. On average, it takes people seven years from the time they recognize symptoms of hearing loss before they seek treatment. 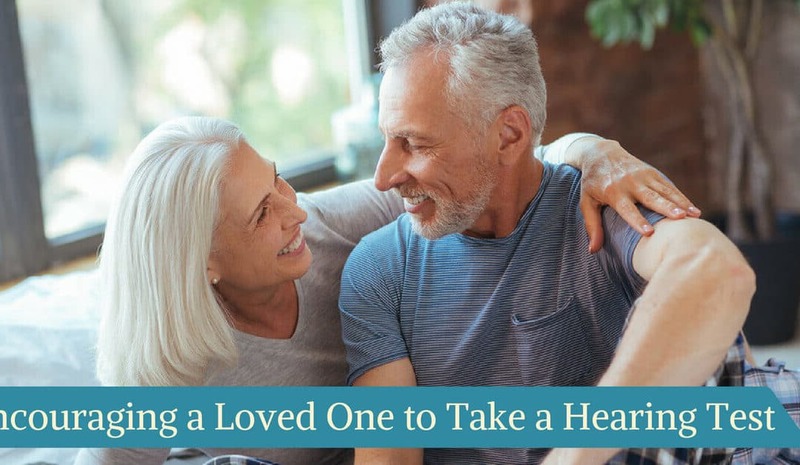 By treating hearing loss, your loved one will be able to reconnect with you and your community. To schedule a hearing test, contact our team at Able Hearing.